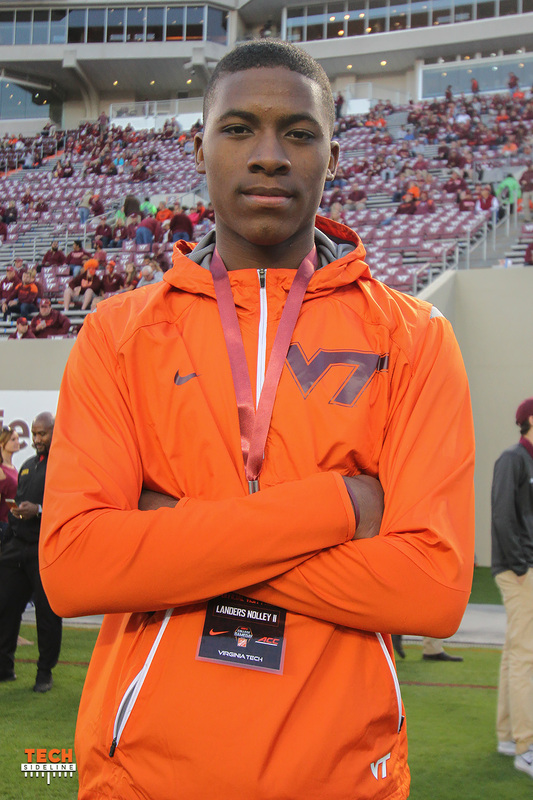 In what has been a rather quiet recruiting cycle for Virginia Tech men’s basketball, the Hokies received some good news on Sunday as Class of 2018 forward Landers Nolley committed to Tech. Nolley is a 6-foot-7, 205-pound recruit out of Langston Hughes High School in Fairburn, Ga. Nolley is a consensus 4-star recruit, and is ranked as the 55th-best player in the Class of 2018 by Rivals. Nolley holds roughly 20 scholarship offers, most notably from Georgia, Illinois, Connecticut, NC State and Florida State. Nolley’s recruitment has been a roller coaster over the last two weeks. The talented wing player announced a commitment to Georgia on Oct. 7, only to then decommit the very next day on Oct. 8. Virginia Tech now has two members committed to their Class of 2018. Nolley joins Jarren McAllister, a 6-foot-3 guard out of North Carolina. After the season, the Hokies are slated to lose three players to graduation — Devin Wilson, Justin Bibbs and Nick Fullard — meaning there should be at least one more open spot in Tech’s 2018 class. Believe Fullard is only a junior but may not be on scholarship next year. Can still take at least one more and probably two if Sy is indeed gone for good. I think he’s here to stay. I think he got caught up in post official visit Georgia afterglow and was probably getting the full court press from the coaches and friends, etc., so he committed. After sleeping on it and talking it over with his parents he realized that Blacksburg and playing for Buzz was the right choice for him and his future, so he decommited. He Waited a week to not totally slap UGA in the face. That’s how I see it anyway. Fingers crossed. Would love having him in the Hokie Nation!!!! I’m with ya. We’ll know in a month I guess. Nice to have him.